Oh my goodness – I will never be able to look at a mole on someone’s face in the same way again. Such a fun and creative way to start a story and this wonderful imagination continues right throughout the story! Gregory and the Grimbockle by Melanie Shubert is a self published story about a young boy who encounters a Grimbockle – a small purple creature who looks after humans by ensuring that the threads that tie us all together are never severed as sadness is something that they dislike. Gregory learns how to help the Grimbockle and together they mend lost or broken Exoodles (the invisible threads that hold us together with others) around the world. Gregory and the Grimbockle reminded me of The BFG – the Grimbockle speaks in a similar way to the BFG and the magical world Melanie has created was amazing. 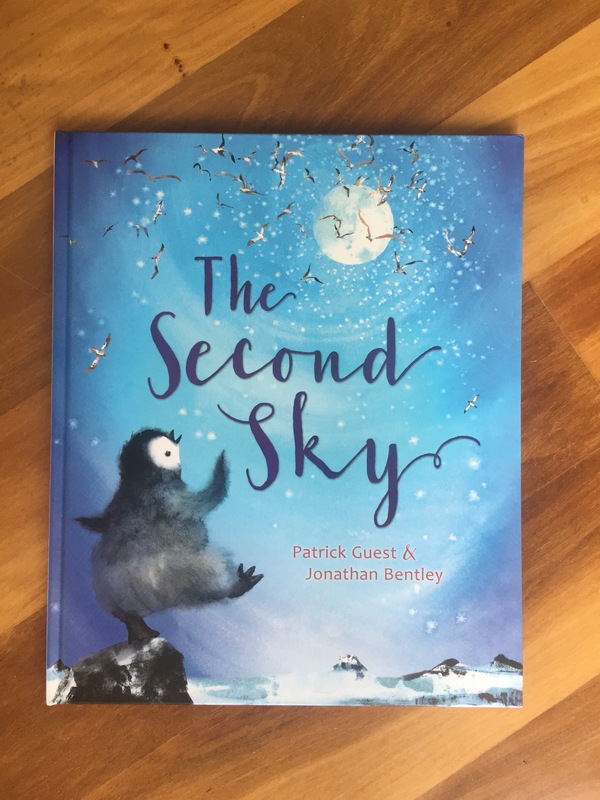 This is a story to be read out loud to younger readers (8-9) or read alone with older readers (10-12yrs) – but definitely one to talk about long after it has been read. Maintaining positive friendships is so important and something we all need to be more mindful of in the busy world we live in. Are you in need of some outside time? Are you addicted to the screen? Do your children tell you to stop playing with your phone? Or are your kids the ones who are addicted? Are you missing out on what is going on in your real world because you spend too much time staring at a screen playing games, scrolling through or taking selfies? 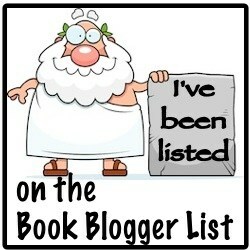 Perhaps this book is the book for you! Tek , the modern cave boy by Patrick McDonnell is a wonderful read and full of many surprises! We meet Tek, who loves playing games on his computer, so much so that he misses major world events such as the ice age!! It’s only when Tek’s machines run out of batteries that he finally realises what is really happening all around him. 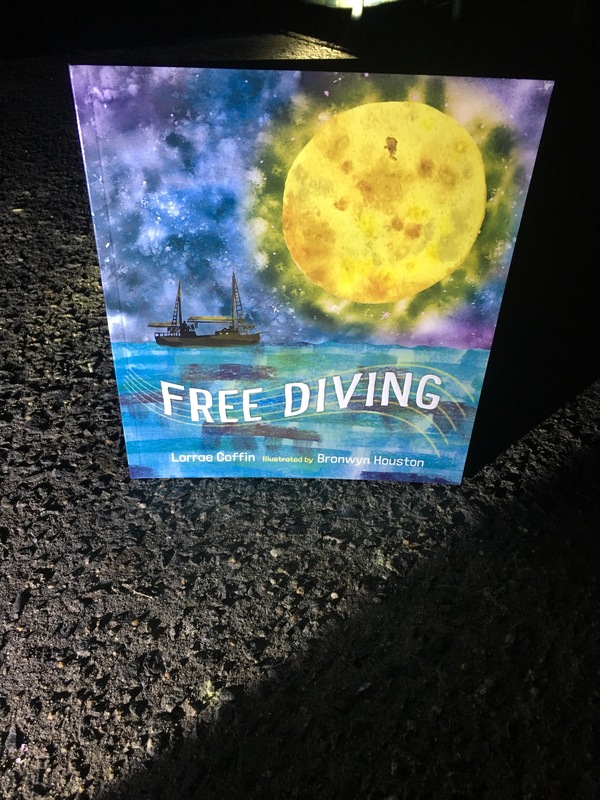 Children and adults will be delighted with not only the story but the design of the book (it looks like an iPad) and the picture of the battery (that runs down as the story continues on) and even the wifi signal! 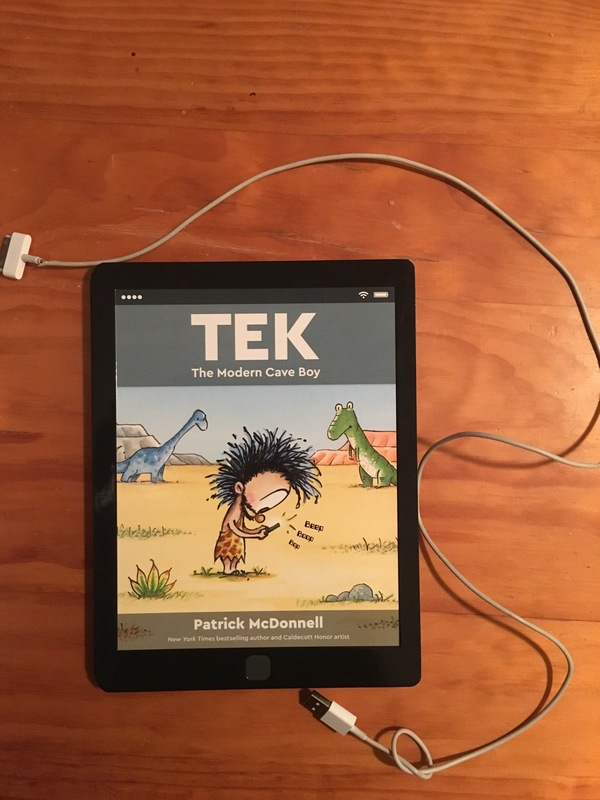 Tek, the modern cave boy is a great read and something that will help us to realise that screen time has a use but not as much as many of us use it for! What can you do instead of giving your children screen time? Plan a family games night instead of a movie night. Take a walk around your neighbourhood instead of watching the tv and take not of what is out there. Investigate what children used to do in the past before screens. How do you think you would cope?